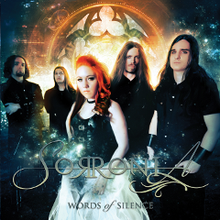 Hungarian female fronted symphonic metal act SORRONIA will release their debut album "Words Of Silence" through Bakerteam Records on October 28th 2013. 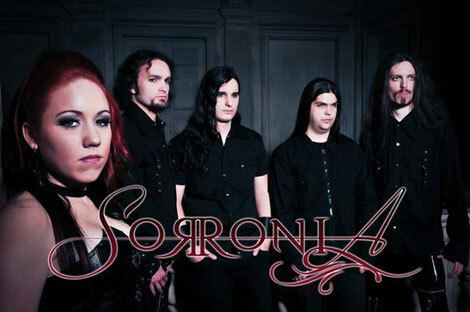 SORRONIA was conceived in 2011 by vocalist Anna Király and keyboardist István Biró, and released a promotional video for the song "Enemy Of Yourself" in January 2013, soon attracting a very strong response. The band combines a wide range of influences, and resulted in a striking Symphonic album made of grandiose melodies and hard rockin' riffs, neo-classical solos and gothic elements, with unique twists and plenty of groove. The lyrics are references to delusion, love, tragedy, anger and anything a human being can possibly experience throughout life. It's perfect for a fan of Nightwish, Epica, Evanescence, Within Temptation. The stunning artwork was handled by talented artist Alexandra V Bach (Kamelot, Adagio).